Teen pregnancy is a tough subject for some people to address -- so what better way to do it than to make a parody video about it (from our friends at GNZ -- get it?) and put it on YouTube! It's a Spear campaign! 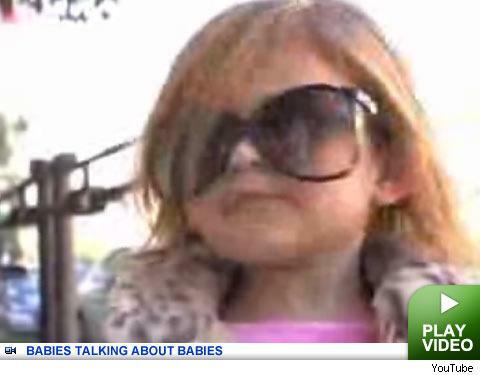 Watch as mini Jamie Lynn answers all the tough questions, and is later joined by a coffee-chuggin' mini Britney. Jamie Lynn and Baby Daddy -- Ready to Wed?